Her Irish eyes smile with love and cheer! 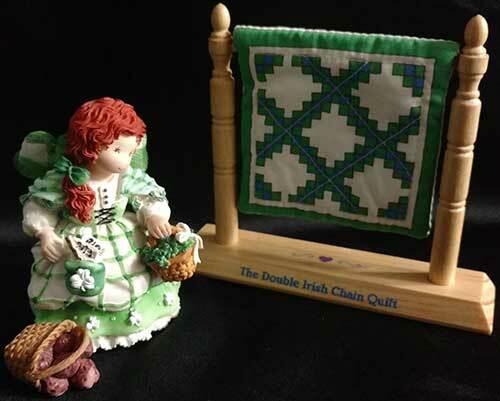 This Irish angel is part of a set that includes a cloth Irish quilt on a wooden stand along with a blessing. 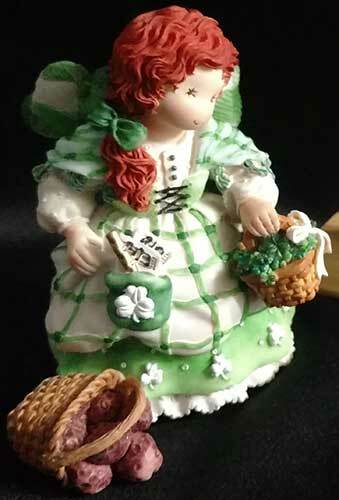 The hand painted Irish angel figurine features shamrock wings along with red hair. She is additionally enhanced with a basket of potatoes at her feet. 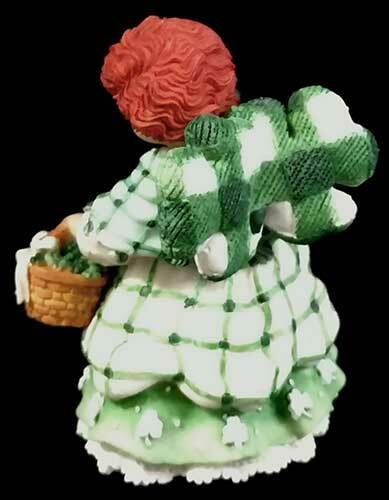 The angel figurine is made of colorful resin and the quilt stand measures 4 1/2" tall. 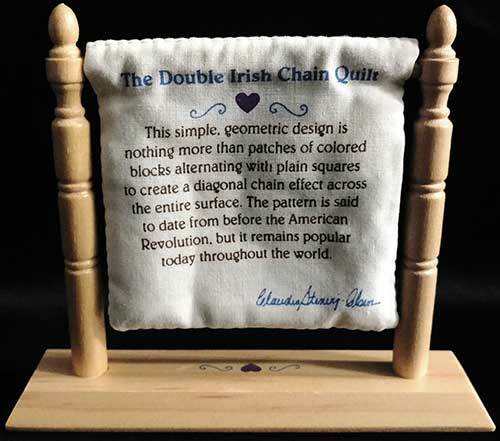 The Irish blessing angel is gift boxed with a shamrock history card, complements of The Irish Gift House.